Caffeine is the most widely used stimulant in the world and use by adolescents has more than doubled since 1980. Chronic caffeine use produces greater tolerance in adolescents compared with adults, suggesting that caffeine may cause greater brain changes in young people. Caffeine consumption is also known to be correlated with increased risk for illicit drug use and substance use disorders (as noted in a recent editorial in Addiction).”. 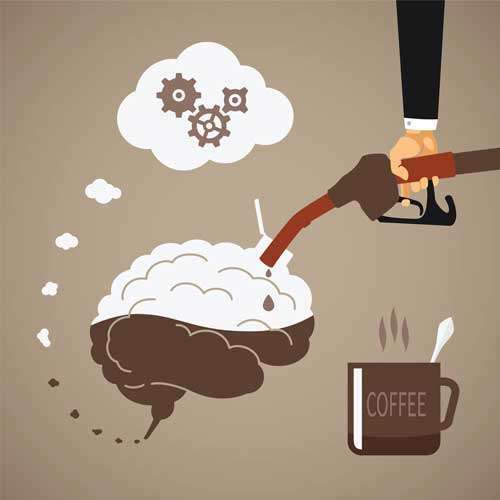 Since caffeine effects brain areas and circuits where cocaine acts, this study explored whether caffeine use by adolescents can impact the brain’s sensitivity to cocaine in adulthood. In a new study, rats that were treated with caffeine in adolescence showed an increased sensitivity to cocaine as adults that was associated with altered dopamine signaling in brain reward pathway involved in addiction. These changes were not seen in animals that were given caffeine as adults. These results highlight that adolescent brains are still developing and can be impacted by substances in ways that are different from fully developed adult brains. Caffeine use by adolescents may prime the still developing brain for later use of other illicit drugs.